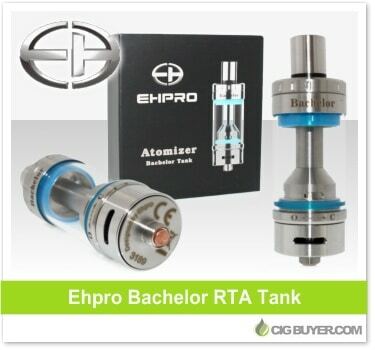 With a handful of rebuildable tanks under their belts, Ehpro is stepping up their game with the Ehpro Bachelor RTA Tank. Offering 4ml of capacity, adjustable airflow and juice flow control, the Bachelor Tank is both flexible and easy to use. The top slides open for quick and easy refilling, and the unique build deck allows you to conventionally insert your coil leads through the top, rather than sides. Not only is it simple to create your own single coil builds, but is also comes replaceable, pre-built sub-ohm coil heads – 0.5 ohm Ni80 and 0.2 ohm Ni200.